In the Company of Plants and Rocks: Botanist Ellen Powell Thompson—yes, that Powell! 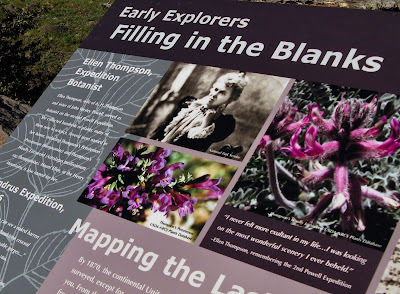 Botanist Ellen Powell Thompson—yes, that Powell! Penstemon thompsoniae, Thompson's Penstemon. Walt Fertig photo. In late August of 1869, six men in three small boats emerged from the Grand Canyon, after traveling three months and 900+ miles down the Green and Colorado Rivers through unknown country and treacherous canyons. They were led by Lt. Col. John Wesley Powell (“the Major”), who spent the next year regaling the public with lectures about wild and dangerous adventures in a strange new land. Then two years later, he did it again. Powell’s second expedition was different—aimed at more than exploration and survival. They would map and describe the unknown country traversed by the Green and the Colorado. The party included three surveyors, two photographers and an artist, as well as several boatmen and a cook. Second-in-command was Professor Almon H. Thompson—chief geographer and Powell’s brother-in-law. Powell himself was responsible for geology and ethnology. 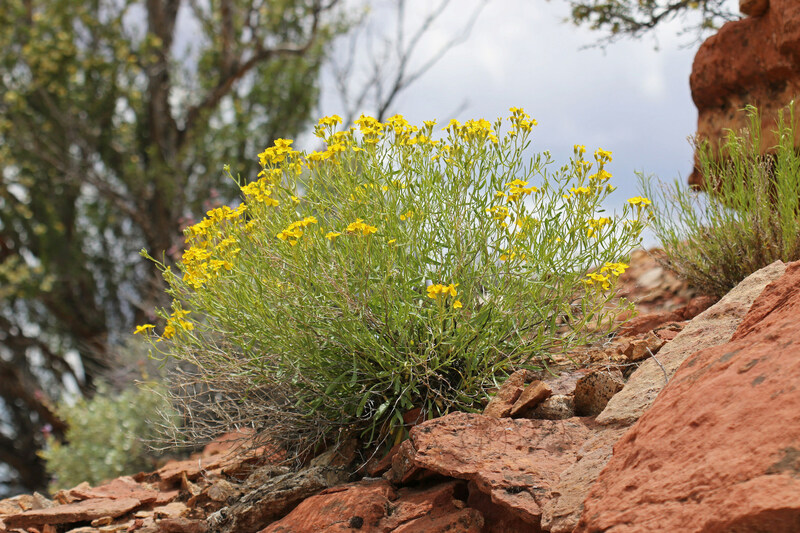 Halfway through the trip they were joined by a botanist, who would make significant contributions to the known flora of southern Utah and adjacent Arizona. 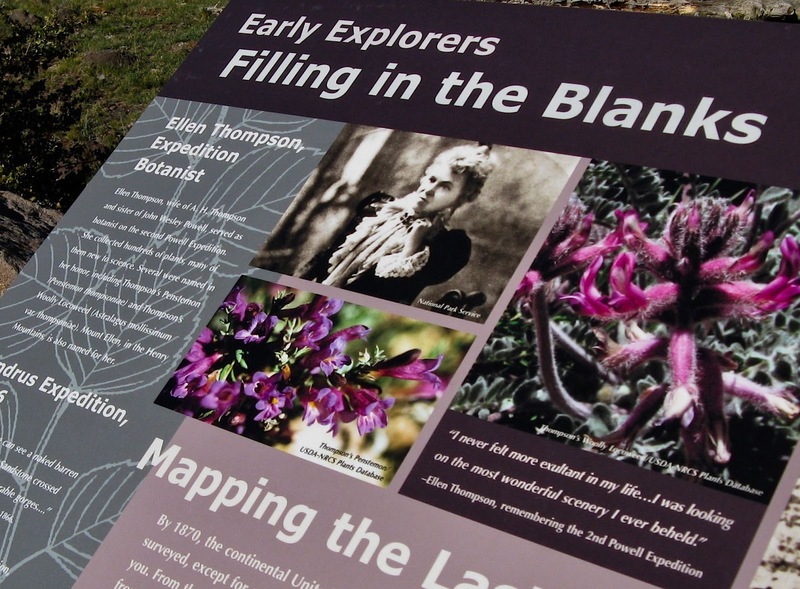 But while her legacy survives in the form of plant names, she herself has largely faded into obscurity. 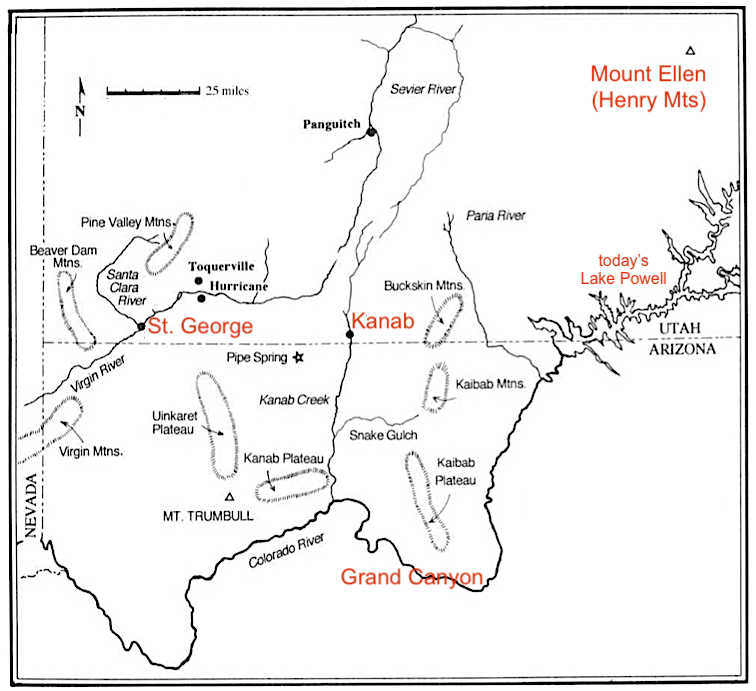 On May 22, 1871, Powell again launched from Green River, Wyoming. 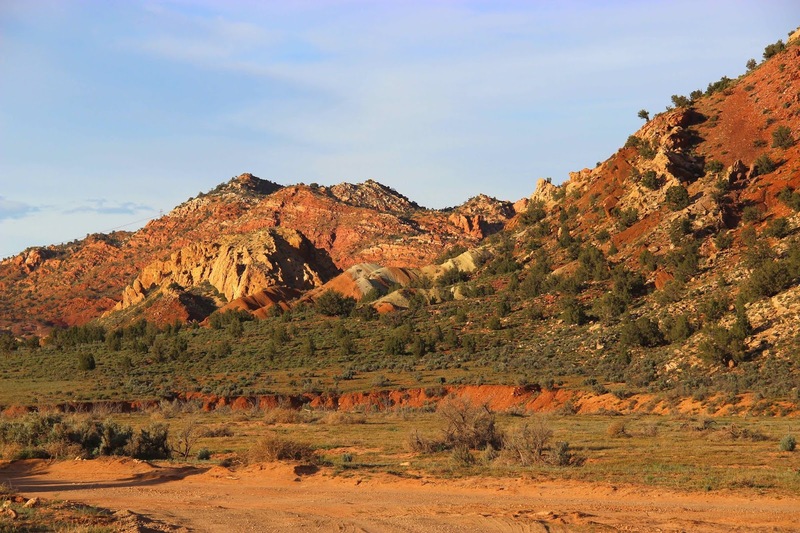 This time, he had enough funding for a two-year expedition, so in late November, they took a break from river travel, and set up camp near the small Mormon community of Kanab in southern Utah. For six months they wrote up notes, compiled maps, and explored and surveyed new country on horseback. They were soon joined by three women, an infant, and a small dog. Emma Dean Powell, wife of the Major and mother of baby Mary (born September 8), was accompanied by a young Mormon woman who served as nurse. The third woman was Ellen (Nell) Powell Thompson—sister of Major Powell, wife of Professor Thompson, and expedition botanist. She was accompanied by “a most intelligent dog” of uncertain ancestry, named Fuzz. 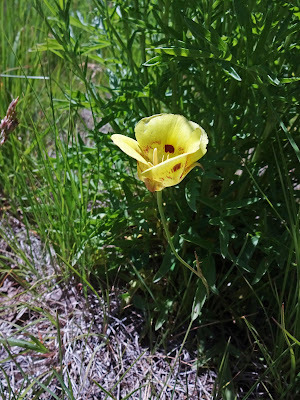 It’s surprising to me that so few enthusiasts of botany of the American West have heard of Ellen Powell Thompson. So far I’ve found only one—a colleague who knows the Utah flora well. I too was ignorant … until I stopped at the Larb Hollow overlook in southern Utah, spotted wildflowers on an interpretive sign, walked over to read it, and discovered that John Wesley Powell’s sister was a botanist! Nell Thompson spent six months with the expedition. 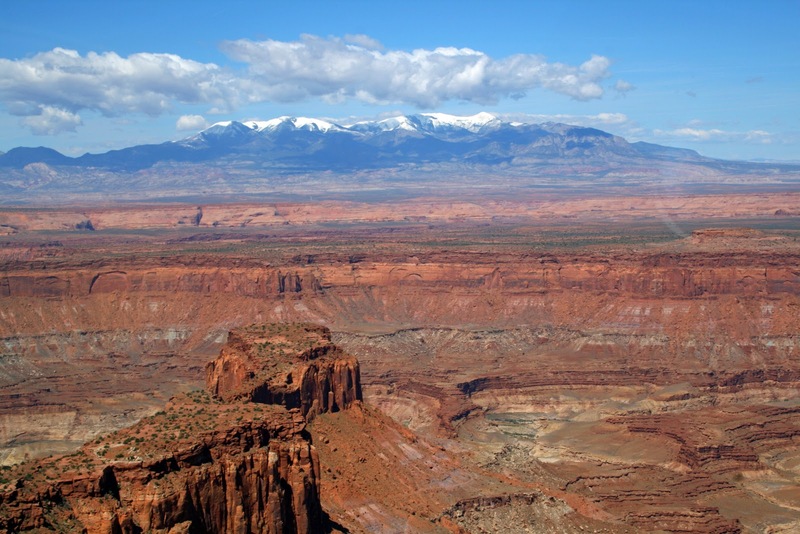 She collected around Kanab, and on excursions by horseback, ranging from a fews days to five weeks. Much of the time she kept a diary—brief entries in pencil on an unlined pad just 3.25 x 5.25 inches in size (1). Areas where Thompson botanized; she ranged as far as the Nevada line. Modified from Smith 1994. Little is known about Thompson’s botanical training, but it’s obvious from her diary that she was not a novice. She named plants to family and often genus. 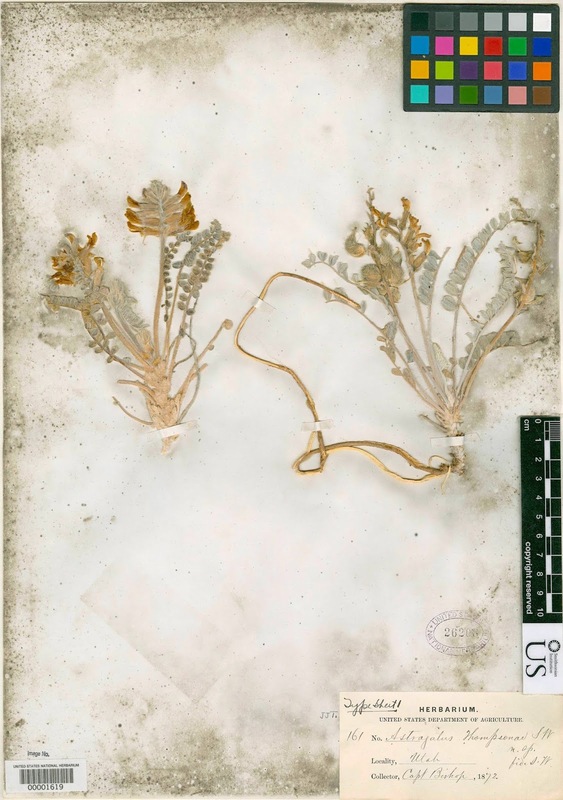 Peteria thompsoniae, Thompson's Spine-noded Milkvetch; collected by Mrs. A.H. Thompson in southern Utah, 1872 (click on image to view) (US National Herbarium). “for two hours I never felt more exultant in my life. The sun shone so bright—and yet it was cool. The air so pure, and I was looking on the most wonderful scenery I ever beheld. A very narrow canon about one-eighth of a mile in width with its walls on either side rising from 800 to 2000 feet. … It clouds up, and we are in a heavy snow storm for four hours, tho we stop several times to sketch. Found a new cactus (to us). Intend to secure the blossom if possible. Just as we were about to leave the canon and just as the sun was setting we looked back of us. We saw the rainbow which looked as if it reached from one side to the other. Camped at dark at the Cedar tree, found water in pockets, making 24 miles” (2). My “Fuzz” drinking from a southern Utah water pocket (with no ill effects). Thompson was not deterred by these hardships. 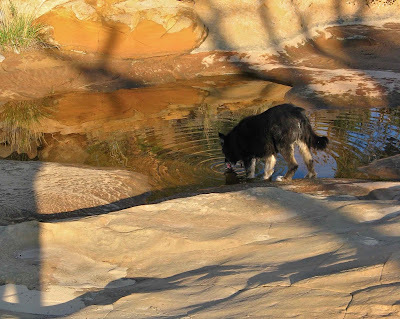 She collected whenever she could—while searching for water, during breaks in storms, even when it appeared they were lost. And hardships never destroyed her love of the landscapes. West of Kanab near the Utah/Arizona border. Did Nell Powell pass this way? Professor Thompson’s party spent five weeks in southern Utah and adjacent Arizona. 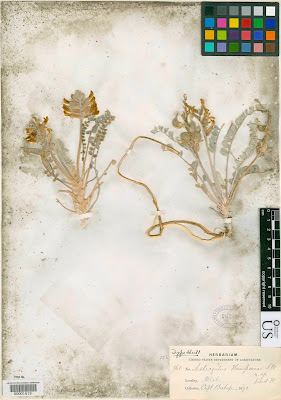 The men explored, surveyed and mapped; Nell collected, pressed and dried plant specimens. They all searched for water and wood—never-ending chores. They suffered heat in the lowland, snow in the mountains, and periodic bouts of gastroenteritis. Through all this, Nell’s fortitude and devotion to botany impressed the others. Boatman Frederick Dellenbaugh, just 17 years old, called her “the most cheerful and resolute explorer of the whole company.” The men occasionally brought her plants they thought might be of interest, and Captain Bishop even made his own plant press. 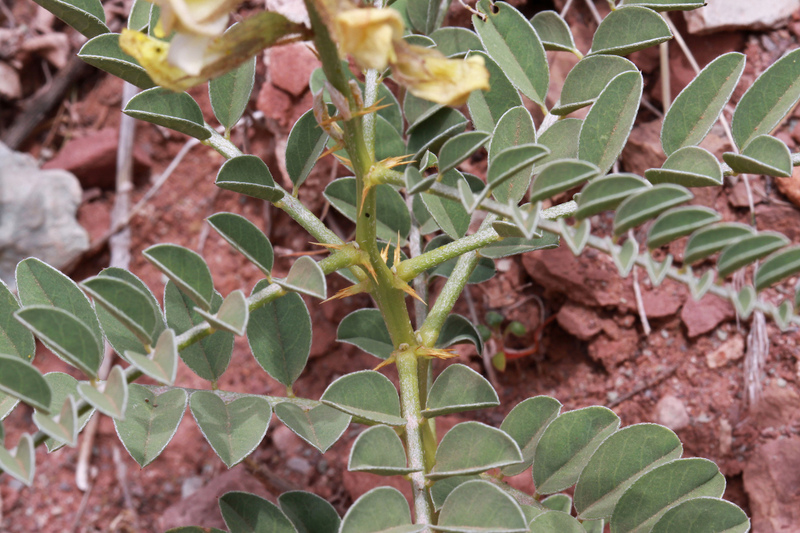 Astragalus thompsonae (now A. mollissimus var. thompsoniae), Thompson's Woolly Milkvetch; collected by Capt. 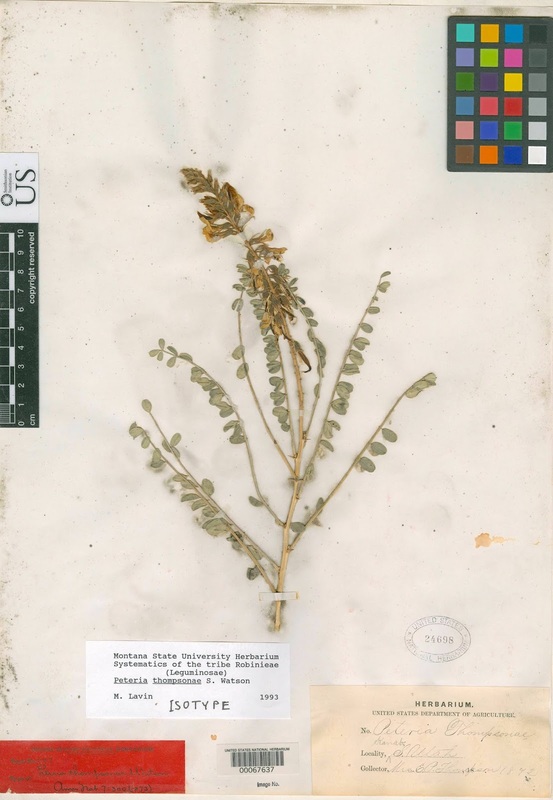 FM Bishop (Gray Herbarium). In early June, Nell Thompson bid the men goodbye. They continued down the Colorado, through the Grand Canyon. She headed home. But her botanical work was done just yet. Like many 19th-century plant collectors, Nell could spot a plant she hadn't seen before, but she couldn't say whether it was a new species, a coveted “novelty.” So she followed the protocol of the day, sending her collections to an expert, in this case the preeminent American botanist Asa Gray of Harvard. Gray passed them on to his assistant, Sereno Watson, who had worked in Utah and adjacent areas, and was familiar with the flora (3). 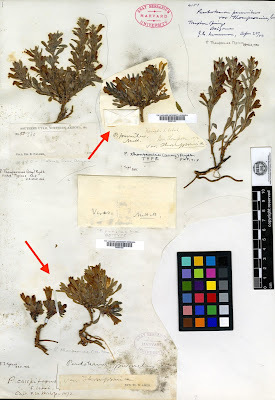 These specimens now reside in the Gray Herbarium at Harvard. 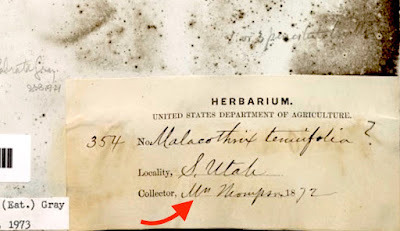 Others ended up in the National Herbarium (Smithsonian), Yale Herbarium and elsewhere. As more herbaria are digitized and put online, we may find additional Thompson specimens (4) (5). Even after six months in the field, Nell Thompson’s overall collection was not large—which is not surprising given the working conditions. Boatman Clem Powell (cousin of Nell and the Major) noted in his diary that she collected on the order of 200 plant specimens, while a list of “Mrs. Thompson’s Collections” (probably compiled by Watson) includes 383. Amazingly, fifteen were determined to be species new to science! (Welsh 1982) Did Nell Thompson have an eye for botanical novelty? Or was it the largely-unexplored area and new habitats that yielded so many discoveries? We can only speculate. Astragalus thompsoniae (now A. mollissimus var. 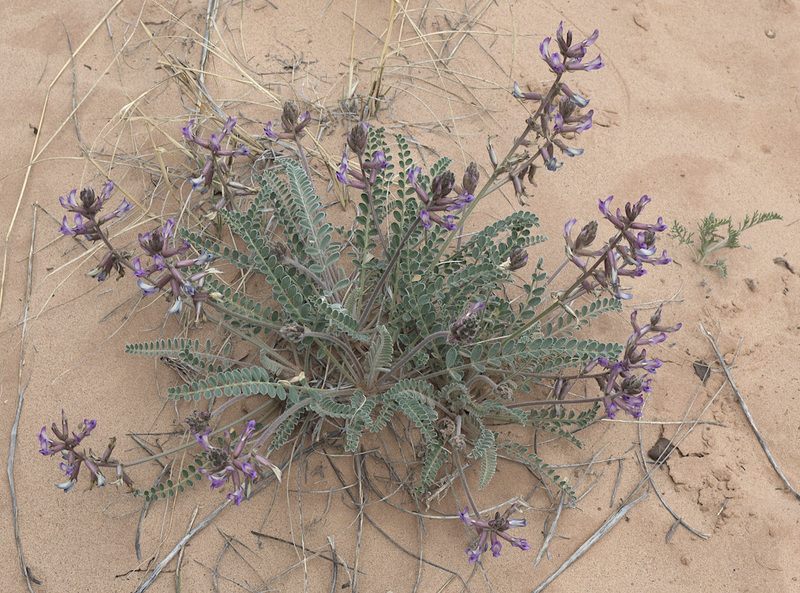 thompsonieae), Thompson’s Woolly Milkvetch. twr61 photo. 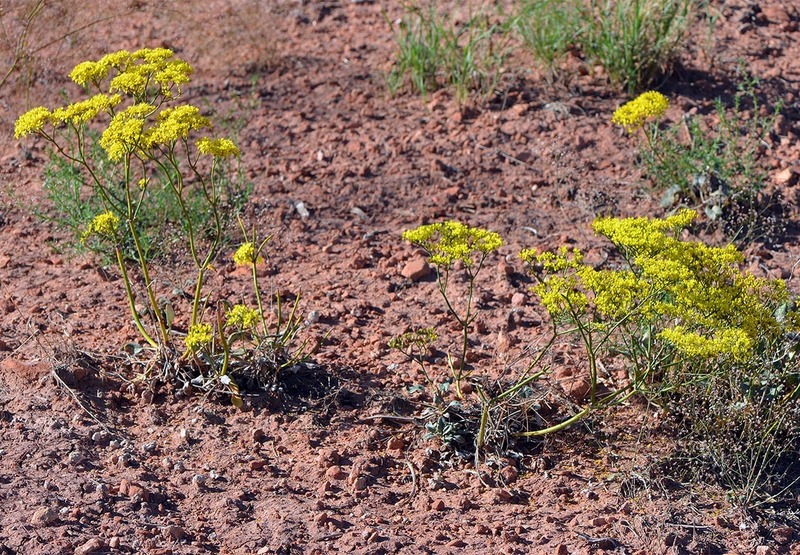 Eriogonum thompsoniae. var. thompsoniae, Thompson’s Buckwheat. James Reveal photo. Above and below, Peteria thompsoniae, Thompson’s Spine-noded Milkvetch. Photos by Walt Fertig and Andrey Zharkikh. Penstemon pumilus var. thompsoniae (now Penstemon thompsoniae), Thompson’s Penstemon (Gray Herbarium). Arrows mark collections by Nell Thompson (top) and Capt. F.M. Bishop (lower left). 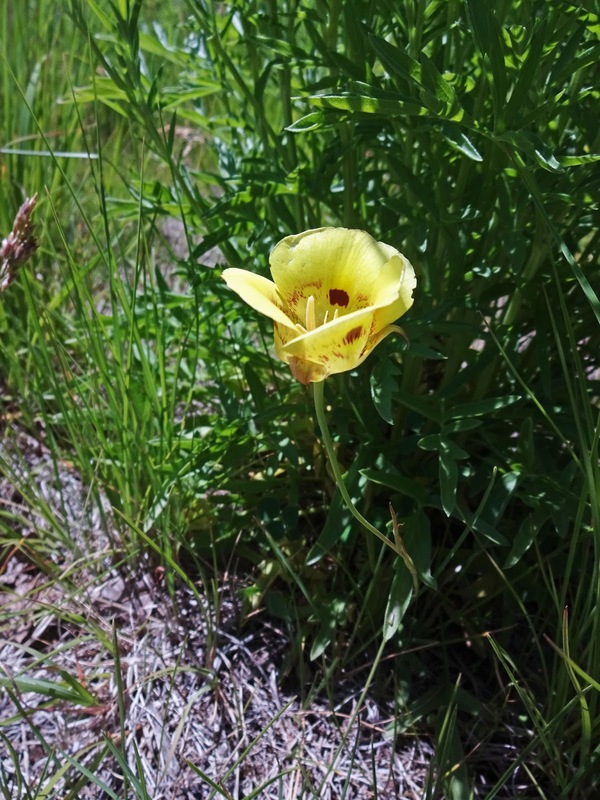 Calochortus aureus, Golden Mariposa Lily. Fendlerella utahensis (originally Whipplea utahensis), Utah Fendlerbush. Psilostrophe sparsiflora, (originally Riddellia tagetina var. sparsiflora), Greenstem Paperflower. But wait, we're not done yet, there’s another Nell Thompson namesake—a mountain peak! In late May, Professor Thompson left Kanab with a small party, in search of the confluence of the Dirty Devil River and the Colorado (Nell stayed in camp). En route, they crossed the unexplored Henry Mountains, where the Professor climbed to the high point (11,485 feet) and named it for his wife—Mount Ellen. Henry Mountains viewed from the Dirty Devil drainage; the high point is Mount Ellen. Jack Share photo. (1) Smith (1994) examined Emma Powell Thompson’s diary, housed at the New York Public Library. She found much of the first part illegible: “The notes, written across the narrow dimension of the page, are sometimes too faint to read, and the words are often difficult and even impossible to decipher. … the earliest decipherable date is February 19 .” Surely today’s curatorial technology could remedy some of this! (2) Nell Thompson only rarely used this many words in a diary entry. And unfortunately, she included very little about her plant collections—nothing about specific sites and habitats. If she kept additional notes elsewhere, they haven’t been found. (3) Sereno Watson served as botanist on Clarence King’s Geological Exploration of the Fortieth Parallel. (4) There’s more work to be done to give Nell Thompson full credit for her contributions. Online, her collections at Yale University are attributed to A.H. Thompson, her husband, though the labels clearly say “Mrs. A.H. Thompson”. The curatorial staff hadn’t realized that though their database is correct, the web portal drops the honorific, and are now working on a fix. 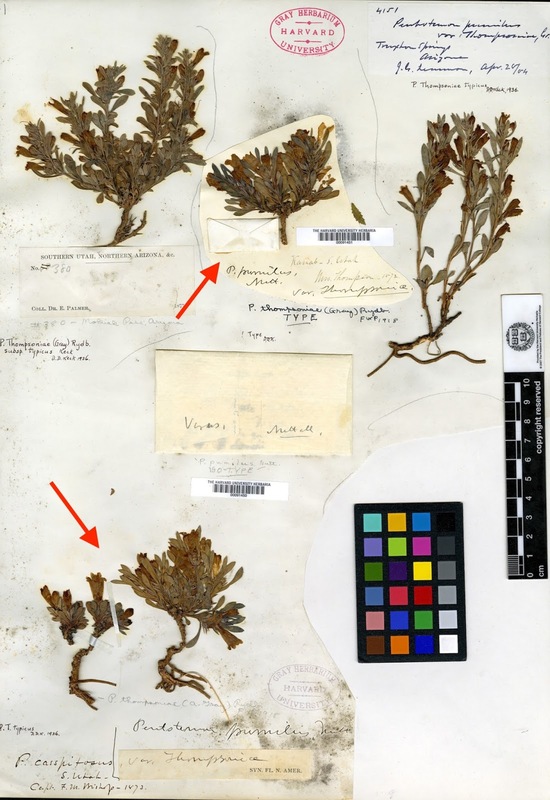 At the National Herbarium, some of Nell’s specimens are attributed to a mysterious “W. Thompson”. In the images, I saw that in the flowing script of the day “Mrs Thompson” can be interpreted as “W Thompson” (below). But I can't notify the staff—have to wait for the government to reopen. (5) It seems that Emma Powell Thompson’s botanical career did not continue beyond the Colorado River expedition. By 1898, she had became a prominent activist in the women’s suffrage movement in the Washington DC area. She died in 1911 (some sources say 1909). Thanks to Daniel Mosquin of Botany Photo of the Day, and to those who Commented on his Penstemon thompsoniae post, for making this post happen. For photos, I thank Utah botanist Walt Fertig, geo-blogger Jack Share, and photographer Andrey Zharkikh (whose botanical photostream includes many of Nell Thompson’s discoveries). Lesica, Peter and Fertig, Walt. 2017. 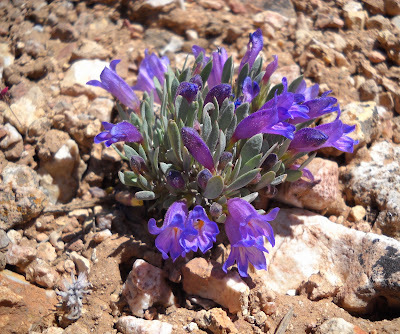 Spring Wildflowers of Utah’s Red Rock Desert. Mountain Press. Mosquin, Daniel. Penstemon thompsoniae. Botany Photo of the Day, Aug 1, 2018. See post Comments for additional information. No author. Biography of Ellen Powell Thompson. 1898, 16 Feb. Evening Star (Washington, District of Columbia, United States of America), p 7. Thompson, Ellen Powell. No date. 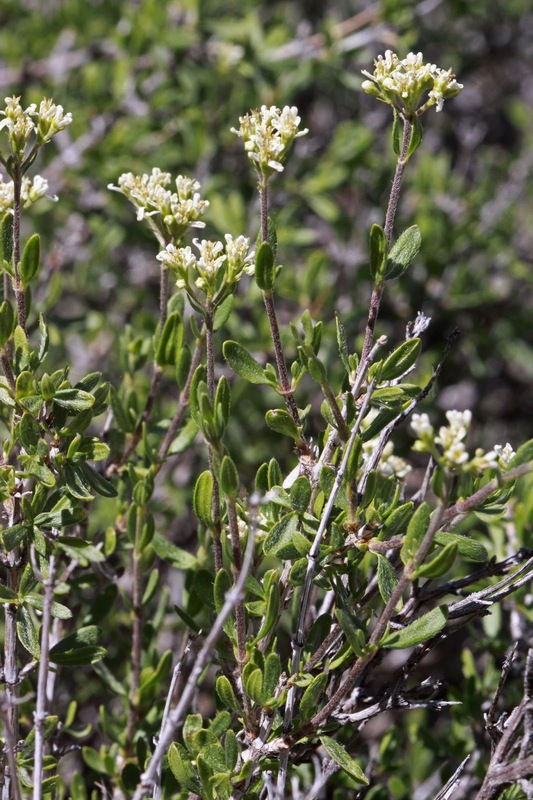 Plant list: Utah. Biodiversity Heritage Library Field Notes Project. Watson, S. 1873. 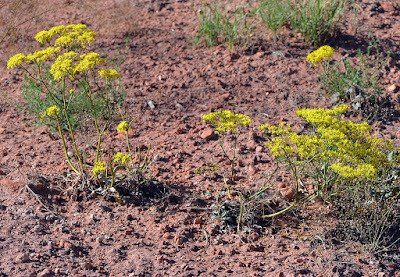 New plants of northern Arizona and the region adjacent. Amer. Naturalist 7; 299-303. Available at the Biodiversity Heritage Library. Welsh, SL. 1982. Utah plant types—historical perspective 1840 to 1981—annotated list, and bibliography. Great Basin Naturalist 42:129-189. Available at the Biodiversity Heritage Library. What an incredible story--and so unfamiliar to most of us. Thanks for sharing this information. I can't even imagine the hardships they endured. Every botanist and student of plants should hear her story. Thanks Beth. Yeah ... it's really hard to imagine botanizing in those conditions! Thank you, I love reading about women botanists, esp in the western U.S! This makes Thompson's Buckwheat even more special! Thanks for this. Her ventures took place at least in part in an area I did some recent work that I still need to finish up on. I came across references to the party she was pert of - your well researched post provides some additional context. I will say it was a harder place to work than I anticipated and water was indeed an issue. Interesting ... will you be posting about that work? I would enjoy photos and your impressions. 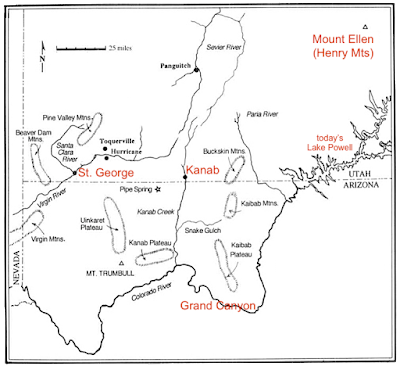 Next year, I hope to go to the Kanab area and see some of the species first collected by Ellen Thompson. I can't get away early enough this year, unless it's a late spring.